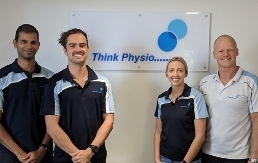 Think Physio (formerly Dandenong Valley Physiotherapy) has been operating at Mulgrave Private Hospital (formerly The Valley Private Hospital) and servicing the local community for over 20 years. Originally located near the Emergency Department of the hospital, the practice grew from a small clinic with only 2 physiotherapists consulting to what it is today. With this expansion came the need for larger rooms and so we made the move across the road into the consulting suites opposite the hospital in early 2013. This has afforded us a much larger area to consult our patients and has allowed us to set up a new boutique gym area, allowing us to provide such services as Clinical Pilates and gym based rehabilitation from injury/surgery. Our clinic currently has 4 physiotherapists and one myotherapist consulting, giving our patients the flexibility to book appointments before or after standard business hours during the week and also availabilities on Saturday mornings. We also have 4 very friendly reception staff working at the clinic to ensure that you are completely looked after from the time you make an appointment with us. Most importantly we are a fun loving and energetic group that always has the best interest of our patients at heart. Our physiotherapists are always available via phone or email should you have any questions regarding the health of yourself or a loved one. So give us a call today and let us help you get started on the road back to work, back to sport and back to life!! Always remember... if in pain...THINK PHYSIO! Ralph has owned and operated Think Physio since its inception in 1991. He graduated from Lincoln Institute in 1985 and has worked in private practice since 1987. Throughout this time he has assessed, managed and rehabilitated all types of injuries, resulting in unparalleled clinical experience. In an earlier life, Ralph played football for Melbourne (Under 19’s & VFL reserves), St.Kilda (VFL reserves), Sandringham (VFA) and finally for St.Kilda-Sth.Caulfield (VAFA). He was a state representative in both the VFA and VAFA. He is now an ex-footballer who still has a keen interest in football, but plays golf. Kal graduated from Melbourne University in 2005 and began working at Think Physio in early 2006. Over this time Kal has mixed full time work at the practice with additional positions at local football (AFL) clubs and the Under 12 Victorian Rugby team. This work has led to a special interest in knee and shoulder conditions and sporting injuries in our younger athletes. As a junior, Kal was a keen basketball and soccer player as well as a Victorian representative in Touch Rugby during his university days. He continues his passion for sport these days as a loyal St Kilda fan and a huge cricket fan (he secretly goes for Sri Lanka)!! Bonnie graduated from Monash University in 2018 with a Bachelor of Physiotherapy (Honours). She has a special interest in musculo-skeletal physiotherapy and she has done further training in Clinical Pilates and taping, which enables her to include strengthening and support for injury prevention as part of her ability to treat a variety of conditions. Bonnie has worked for a local football club, which has helped develop her understanding of the treatment and rehabilitation of many sports injuries. She also has an interest in Women's Health and is passionate about treating women in both the ante-natal and post-natal period to help optimize function and prevent pain. Outside of physiotherapy, Bonnie enjoys playing netball, skiing, doing pilates and heading to the beach. She also loves to get away camping on the weekends whenever she can. Andrew completed his Masters in Physiotherapy from La Trobe University in 2014 and has always had a strong interest in musculoskeletal and sports physiotherapy. His therapy includes many techniques including but not limited to dry-needling, Clinical Pilates, massage, taping and electrotherapy modalities. Andrew has participated in an array of team and individual sports throughout his life which has helped develop his understanding of the specific rehabilitation required for the return to many sports following injury. These skills were further developed through his work as part of the medical team at Mulgrave senior football club. Andrew currently spends his spare time playing golf and regularly attending a gym, as well as training for many of the annual Melbourne running events. Adam has been practicing myotherapy for the last few years. He graduated from RMIT’s Myotherapy class with distinction. He was nominated and won RMIT’s Pro Vice Chancellors award for excellence in his studies. Adams passion for sports is one of the reasons he became a myotherapist, he has worked for the Sydney Swans performing myotherapy, pregame and side line massage and is currently active working with players in Glen Waverley Soccer Club in a treatment and an advisory position, he also coaches the seniors thirds team. Apart from being a qualified Myotherapist, he has his Cert IV in Fitness (Personal Training), he is also a Level 1 sports trainer(accredited through Sports Medicine Australia) and First Aid Accredited (Senior Level2 and CPR). He is also able to assist with stability taping and “ROCK TAPING”, to help athletes perform at their best. His hobbies include: guitar (accoustic and electric), Motocycles (both road and dirt), Go Karts (state and national level), skiing and soccer. He has trained in natural body building for many years and has competed at a national level.